Createspace Independent Publishing Platform, 9781500751494, 118pp. 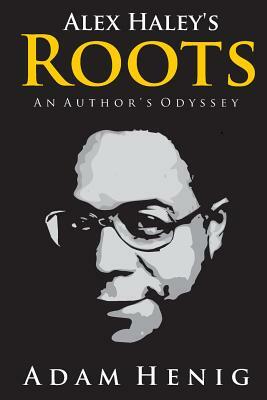 In 1977, following the airing of the mega hit television mini-series Roots, its author, Alex Haley, became America's newest "folk hero. " He was on his way to becoming the most successful author in the history of publishing until it all fell apart. Based on interviews of Haley's contemporaries, personal correspondence, legal documents, newspaper accounts, Adam Henig investigates the unraveling of one of America's most successful yet enigmatic authors. Adam Henig is the author of "Alex Haley's Roots: An Author's Odyssey" (2014) and "Baseball Under Siege: The Yankees, the Cardinals, and a Doctor's Battle to Integrate Spring Training" (2016). His next book, "Watergate's Forgotten Hero: Frank Wills, Night Watchman," will be coming soon. His writings have appeared in the San Francisco Book Review, Tulsa Book Review, African American Literature Book Club (AALBC), Medium, The Biographer's Craft and Blogcritics. Adam is an active member of the Biographers International Group. A graduate of California State University, Chico, Adam lives with his family in Gilroy, California. For more information, visit www.adamhenig.com or email Adam, info@adamhenig.com.